Since its inception in 1976, the Walking Horse Owners Association has been committed to the interests of Tennessee Walking Horse owners and the Walking Horse industry. That commitment remains just as strong today. Representing WHOA members nationwide, WHOA remains a strong voice for honesty, integrity and fairness in our industry. WHOA promotes many Walking Horse Events such as the International Pleasure & Colt Grand Championship Horse Show and supports many other one night shows. WHOA was on the forefront of promoting the plantation pleasure division and continues that tradition today through the Register of Merit program and a series of versatility shows and a versatility high point program. WHOA is also a sponsor of the Academy Program which promotes the Tennessee Walking Horse to our youth. The Officers and Board of Directors of WHOA are required by its bylaws to uphold the interests of the owners in our industry. The Tennessee Walking show horse in fact would not exist without the support and dedication of its owners. WHOA’s officers and directors meet this expectation by staying abreast of industry issues and representing the interests of its members at the American Horse Council in Washington, DC and throughout the entire US. Members of WHOA enjoy eligibility in many different programs, amateur and youth cards, and much more; but the real reason to maintain a membership in WHOA is to insure that the best interests of this great breed and their custodians, we the owners, are perpetuated. The Tennessee Walking Horse is a popular breed, famous for its smooth and easy gait. A light horse breed, the TWH is a composition of the Narrangassett Pacer, Morgan, Standardbred , Thoroughbred and American Saddlebred blood lines. The foundation sire was a black foal, born in Kentucky, in the spring of 1886, and came to be known as Black Allen. This foal was a cross between a Morgan mare and a stallion from the Hambletonian trotters-he was bred to be a great trotter, however he paced. At the age of 23, he was purchased by Albert Dement of Wartrace, Tennessee. Mr. Dement’s goal and dream was to produce a breed of horse that would perform a gait that was a cross between a trot and a pace-a gait to be called the “running walk”. Before his death, at the age of 24, Black Allen had bred 111 mares. The Breed association was formed in 1935. It is known today as the Tennessee Walking Horse Breeder’s and Exhibitor’s Association. Foundation stock of the new breed was chosen from 115 horses. The number one foundation sire was Allen, and this stallion was denoted in the stud book as Allen F-1. He was considered to be the greatest contributor to the Tennessee Walking Horse breed. It was a cross between Allen and the Tennessee Pacer that produced today’s Tennessee Walking Horse (TWH). In Middle Tennessee, the soil is rich in minerals due to the abundance of limestone and as a result, nutritious bluegrass grows in lush quantities. This, in turn, provided the perfect location to raise the hardy TWH, sound and free from disease. These strong qualities are transmitted throughout the breed, no matter where they are found. 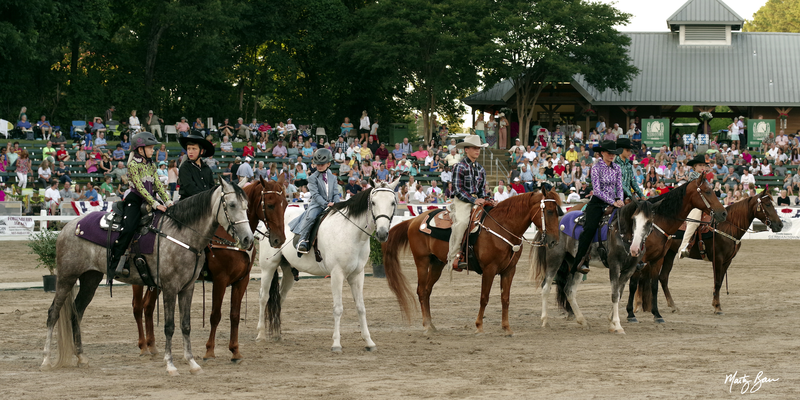 The TWH is known today as the “World’s Greatest Show, Trail, and Pleasure Horse." This horse is noted for being an affectionate, gentle and intelligent breed. The horse is seen in a variety of colors including, but not limited to, black, chestnut, sorrel, bay, roan, palomino, white and gray. They may have few or several white markings or none at all. The typical TWH averages 15 to 17 hands in height (1 hand is equivalent to 4 inches) and weighs between 900-1200 pounds. They have long, graceful necks, short backs, well built hindquarters, sloping shoulders, and slender but strong legs. The head is handsome with refined bright and intelligent eyes, prominent nostrils, and pointed well shaped ears. The manes and tails are long and flowing. The defining factor of the TWH is its naturally smooth and easy four beat gait. The horse performs three gaits-the flat walk, running walk, and the canter. The TWH is most famous for the running walk. These gaits are natural and inherent, unique to the breed. The flat walk is a four cornered, long reaching walk with each of the horse’s feet hitting the ground separately at regular intervals. Unique to the TWH, is the overstride that occurs when the horse glides over the track left by the front foot with its hind foot. The TWH is the only breed that shakes its head in rhythm with the cadence of the feet. The TWH is a comfortable mount in English or Western tack. The very young, the aged, the novice, and the experienced rider are all comfortable aboard the TWH, whether on the trail or in the show ring. The TWH is extremely popular in the United States and several foreign countries. Several well known celebrities have owned, ridden and loved the TWH- Roy Rogers and Trigger, Gene Autry and Champion, Zsa Zsa Gabor and The Silver Fox, just to name a few. Enjoy the ride! There is no other like it! To join online, choose the membership option that fits your needs and complete the registration process using PayPal or your credit card. Please note that all names must be entered as they should appear on a show entry form. Press the renew key no more than one time. Don't have a PayPal account? You can create one here. It's fast, easy, and secure. If you do not wish to pay online, print and complete the application form and mail with appropriate payment to: WHOA, P.O. Box 4007, Murfreesboro, TN 37129. Youth, Regular, Associate, and Family Memberships expire December 31. You can renew your membership by logging in with your old username and password. For youth 17 & under. Includes youth card. Expires December 31 of current year. For adults 18 & over. Includes full membership privileges. Expires December 31 of current year. For business or individual who does not own horses. No voting privileges. Expires December 31 of current year. For 2 adults and up to 6 children 17 & under. Immediate family members only; grandchildren are not considered immediate family. Includes full membership privileges. Expires December 31 of current year. Individual lifetime memberships include full membership privileges and never need renewal. Lifetime memberships are priced based on age at the time of membership. The 39th Annual International Pleasure and Colt Grand Championship will be held July 21-29, 2017 at the Tennessee Miller Coliseum in Murfreesboro, TN. The July 21st date will have gaited barrel race events. Show forms may be found on the WHOA home page under INTERNATIONAL.